The five-megapixel snapper grabs 720p video and produces clear daytime images, plus for Skype calls there’s a front-facing camera. The Android Gingerbread OS is a bit dated, so let’s hope it gets an Ice Cream Sandwich upgrade soon. The Xperia Go’s chassis is well made, so it should survive the odd drop or knock, plus it’s neat enough to slip into a pocket. Even when playing games and apps and watching movies we got a good day out of a full battery. Light use will see the battery last a couple of days. Mobile phones have to endure quite a lot of abuse, so it’s surprising how many fail to be sturdy enough to survive being dropped on the pavement – or down the toilet. 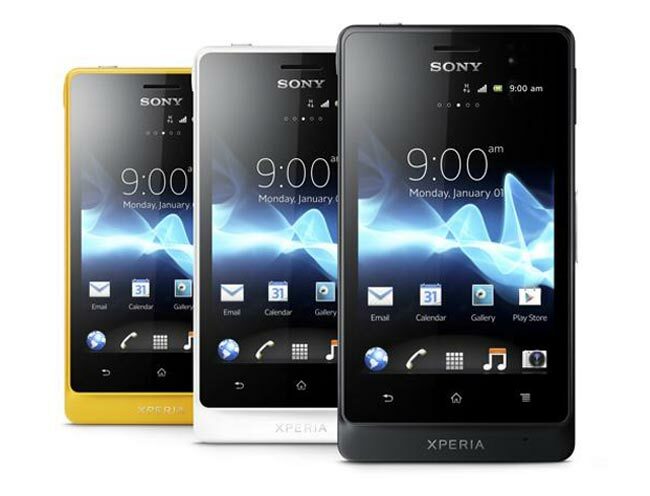 Can the Sony Xperia Go stand up to a bit more punishment than your average handset? The Go is quite neat – the only thing adding to its length is the lip that sits under its display – just like the Sony Xperia U. It’s slim, though, coming in at just under 10mm, so it can easily be slipped into any pocket. It’s lightweight too, but manages not to feel plasticky. On the reverse you’ll find a textured coating, that stops the Go sliding across the table if it gets nudged. Button-wise, you’ll find the volume buttons on the right edge and the power button on the top of the handset. So, to get to that sturdiness – first off, the 3.5in display fends off scratches. We tried going at it with paper clips, pens, the corners of the desk – anything we could think of, and it survived with not a mark. The ports are covered with rubber tips, which are designed to keep out dust and water – as long as they are sealed properly, the handset should be able to survive a dunking in the water (should you drop it in that toilet bowl, for instance). you send a lot of emails and texts, we’d suggest you try out the Xperia Go in the store before splashing out on one, as the small display won’t be to everyone’s taste. We managed to mistype quite a lot of words when typing on the onscreen keyboard in portrait mode. It works far better in landscape mode, where you get bigger buttons and more room to work with. If you do make a mistake, tap on the offending word and a list of possible replacements will pop up. The Xperia Go runs on Android Gingerbread, which is a tad outdated, so we hope it gets updated to Ice Cream Sandwich sometime soon. Call quality is okay, but we did experience some signal loss on occasion when we were making calls. Plus the data connection seemed to drop out more than we would expect. GPS suffered from the same issue and it often found it hard to lock onto our location. Web pages were quick to load using the Android browser, when we were able to get a good connection. The phone kept up when we whizzed through a site quickly, and we were able to zoom in and out without experiencing the distortion often seen on Android handsets. It is also possible to stream video from sites such as BBC News and 4OD. However, it’s a shame that the display wasn’t as responsive as we would have liked – sometimes we found ourselves pushing the screen hard, which felt like we were using the older resistive type of screen. The screen may only measure 3.5 inches, and be somewhat unresponsive, but it’s clear enough for watching TV programmes should you wish – and is bright enough to avoid annoying reflections. Oddly, look really closely and you’ll see a grid of dots sitting in the background – a sign of the budget nature of the display. The Go sports a five-megapixel snapper, which impresses with its sharp images, and has pre-set scenes, the option to adjust the ISO, and a 3D panoramic mode. It is also capable of shooting 720p video. The shutter suffers from some lag, which is not helpful when taking action shots, and low-light pictures are grainy. There is a built in flash though, and there’s a front-facing camera should you wish to Skype your friends. Apps-wise there are fitness apps, such as Adidas miCoach (your own personal trainer, featuring sports stars such as Andy Murray and Jessica Ennis) and WalkMate, which measures how far you walk. The phone’s tough chassis makes it suitable for taking it down the gym. Battery life is impressive – on standby you’ll get days of use out of it. Emailers and texters should still see a good two days out of a full battery. Even if you’re a big game player you should get a day of play before you need to recharge. The dual-core chip ensures that you’ll be able to play all the games you want. The Sony Xperia Go is a sturdy mid-range Android handset that can stand up to everyday life well, and will suit those who do a lot of travelling, thanks to the combination of excellent battery life and sturdy construction, However, there are some concerns – the signal issues for a start, plus the old operating system and the small, unresponsive display.